These E46 fixed camber plates are designed from knowledge gained from our highly successful racing campaigns with the E46 in the Speed World Challenge series. 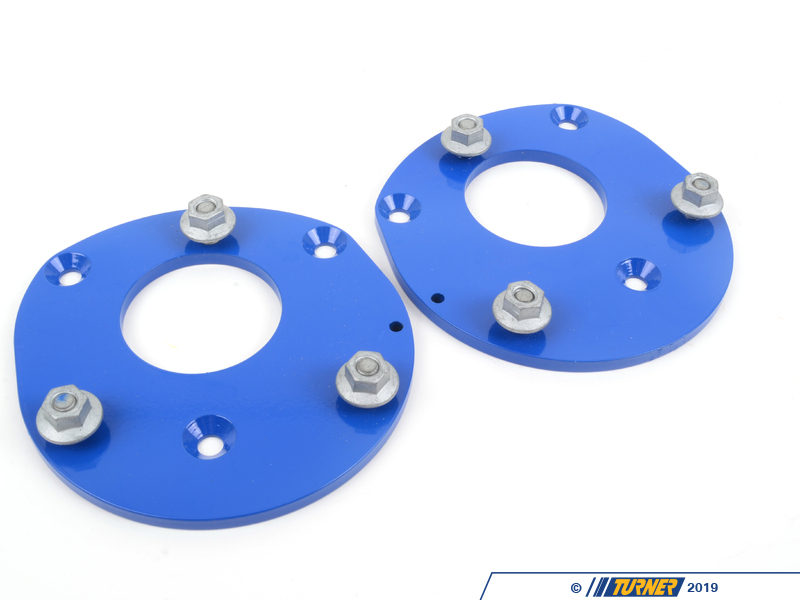 These plates are offset for the best camber and caster combination for racing purposes when using the stock-diameter sized springs. Camber increases to between -2.5° to -3.0°, depending on each individual car. While ride height is increased by 1/4", the benefit of these plates far outweighs the minor ride height increase. The rate of camber change is virtually unaffected throughout the range of suspension travel, reducing the need for other geometry correction. 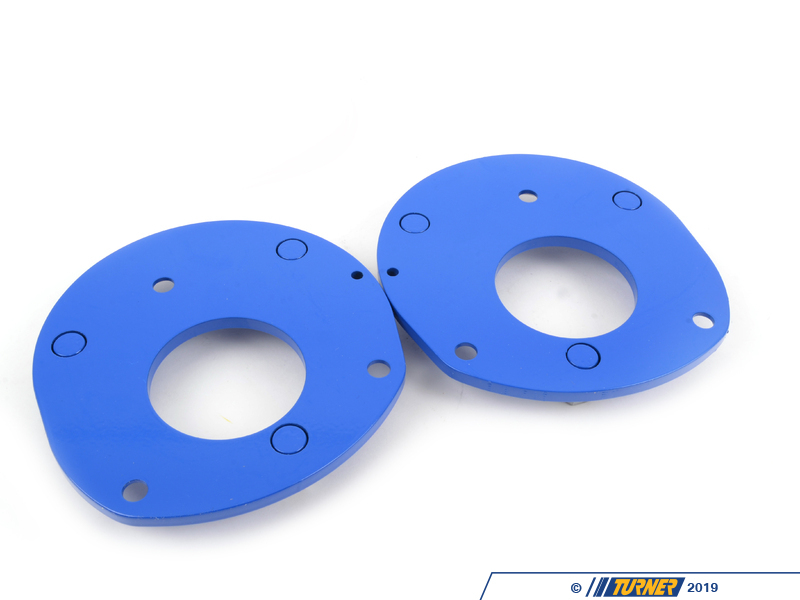 Material has also been added to increase surface contact area therefore reducing the strut tower deformation and increasing the strength of the strut towers. 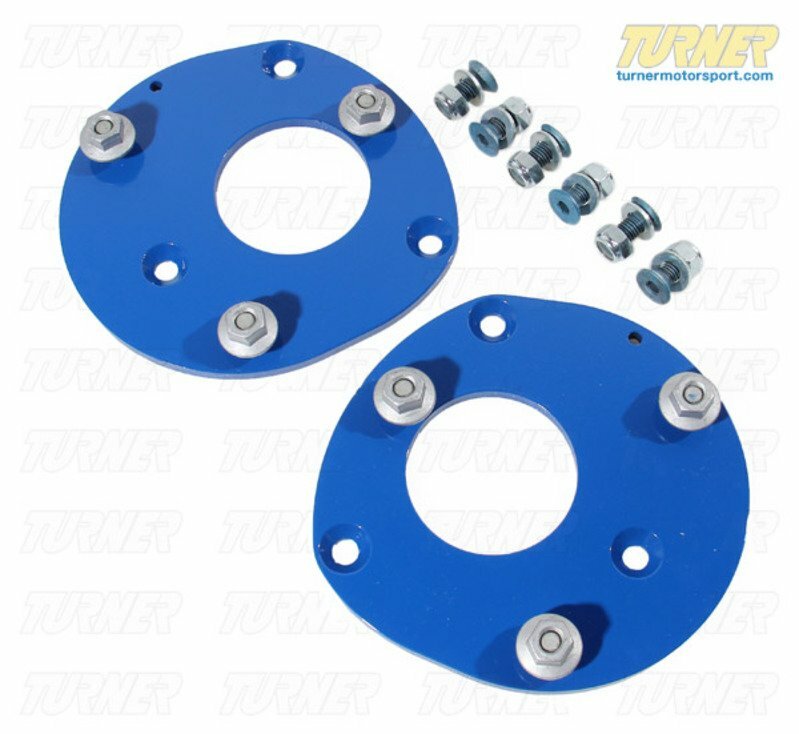 Fixed mount camber plates are legal in many racing and autocross classes. 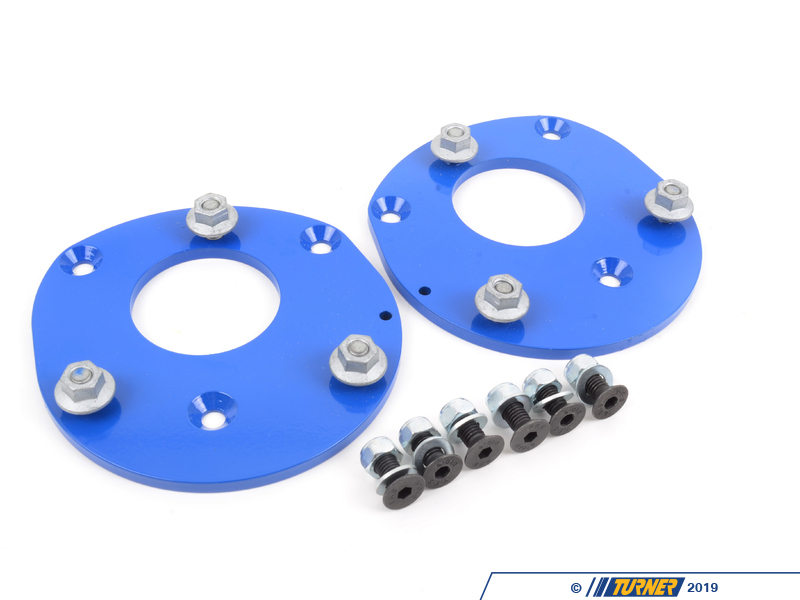 These are the perfect camber solution when adjustable plates are not allowed in your class. These are a simple bolt on part for all E46 except the xi and M3 models.